Make Creamy Caramel-Banana Topping (below); keep warm. 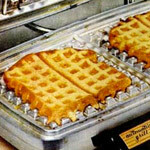 Heat waffle iron; grease if necessary. Stir remaining ingredients until blended. 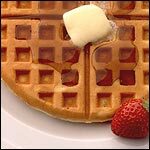 Pour batter for waffle onto center of hot waffle iron. Repeat with remaining batter. Bake about 5 minutes or until steaming stops. Carefully remove waffle. Serve with topping. Mix all topping ingredients except bananas in 1-quart saucepan. Heat to boiling over medium heat, stirring occasionally; remove from heat. Gently stir in bananas until well coated. 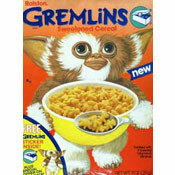 These waffles work as well for breakfast as they do for dessert. 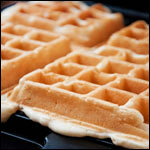 For an easier version, try the topping on store-bought waffles. Mr Breakfast would like to thank blackjuice for this recipe. What do you think of Chocolate Waffles with Caramel-Banana Topping? Great... caramel and bananas are so good together. 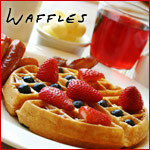 I used this topping, but your other waffle recipe - the top popular one one your waffle page. Was very good.